Machinery Sales | Olds Auction Mart & Rosehill Auction Service Ltd.
Rosehill Auction Service at Olds Auction Mart in Olds, Alberta has been successfully conducting in yard consignment auctions for decades now. Our sales have grown into one of Alberta's largest auction sales, seeing attendance estimated as high as 2000 people, hosting 4 of them a year, usually the third Thursday in April, June, August, and September. Selling everything from farm dispersals, heavy equipment sales, vehicles, and almost everything inbetween, our extensive advertising program realizes fair market value. Sale time is at 9am and we run 3 auction rings simultaneously all day, usually having you home for supper time. The best way to consign your piece(s) is to bring it to our yard. From there we will do the necessary paperwork, take pictures, and advertise for you at no cost. Our advertising deadlines for the newsprint is usually 3 weeks before sale date, so we encourage you to consign before then to take advantage. You can also call in your items or email us a listing and or pictures to our email at info@oldsauction.com. We still like to do business on a handshake. We do not pre register buyers. 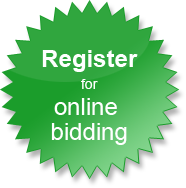 Upon becoming the successful bidder we sell to your name, if we don't know your name just tell the auctioneer how you want your item booked or tell one of our ringmen. We expect your account to be settled on the day of the sale, there are NO additional buyers fees at our farm and yard sales. Depending on the value of your consignment, we charge a relevant commission rate. Please see below.